Hyde County Schools in partnership with the Hyde County Sheriff’s Office, NC State Highway Patrol and other local and state federal law enforcement agencies, along with local Fire Dept. and EMS will be conducting an Active Shooter Exercise on the campus of Ocracoke School on Friday, August 17, 2018 between the hours of 8 AM and 3 PM. Due to the nature of the exercise, the entire campus will be closed to the public. No visitors to the campus will be allowed on site and the campus will be cordoned off with yellow tape. Safety coordinators will also be stationed on the perimeter of the campus to re-direct individuals desiring access to the campus. 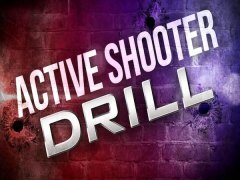 School staff will be on site to participate in the exercise and to learn the procedures that must be followed in the event an active shooter is on site. Thank you for your understanding as the school works with law enforcement agencies to help prepare its employees to be in a position to better protect the children in the event of an active shooter incident.